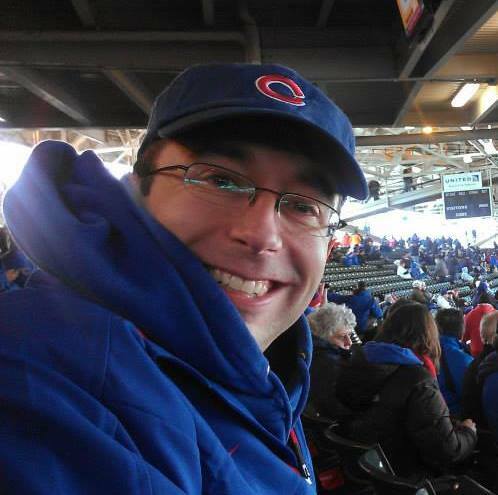 Being a lifelong fan of the Chicago Cubs has taught me a great deal about faith. Being a Cubs fan in the Bootheel of Missouri has taught me a lot about humility. Being called to serve a church in the middle of St. Louis Cardinal country has taught me a lot about God’s sense of humor. For those interested in ecclesiastical legalese: I am an ordained minister in the United Church of Christ with partner standing in the Christian Church (Disciples of Christ). I serve as the pastor of the First Christian Church (DOC) in Dexter, Missouri. I am the husband of a woman whose PhD proves that she is as smart as it is possible to be. Getting lucky enough to marry someone like Lily is a demonstration that grace is real. At my ordination exam I was asked, “How would you describe your sense of call if you had to do so while standing on one foot?” (I.e. very briefly before falling over.) My answer was, “I hope to help others experience the same grace of God that I have received.” That answer continues to guide me today.